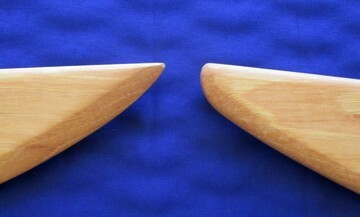 Blade width – 2-5/8″ at the guard. Avg. point of balance – 2.25″ to 3″ from the guard. Blade length Choose an option11"11.5"12"12.5"13"13.5"14"14.5"15"
SKU: 120. Category: Bot Jaam Do. 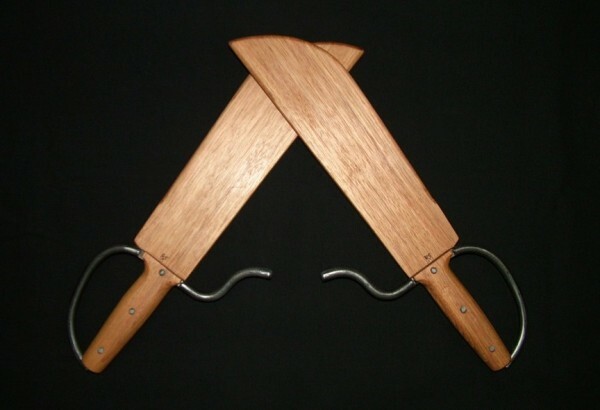 Tags: Baat Cham Dao, Bart Jarm Do, Bot jaam dao, Bot Jam Dao, Bot Jarm Do, Hudiedao, Shuang Dao, Wing Chun Butterfly Knives, Wing Chun Butterfly Swords. 1 item ordered = about 12 weeks. 2 items ordered = about 13 to 14 weeks. 3 to 4 items ordered = about 14 to 15 weeks. More than 4 items ordered, please contact me for a time estimate. Customers who are located outside of the continental USA, please do not place an order directly on this website. credit card payment at your convenience. Thank you! Raven Studios has been dedicated to designing and producing high quality martial arts training swords, weaponry, and wooden dummies since 1998. Today RS training weapons can be seen in the hands of martial artists not only in every state in the USA, but in many countries all across the Globe!